If you are looking for an upgraded model of grow tent with lots of unique and improved features, then LAgarden grow tents suit you the most. This LA Garden grow tent review aims to give you the unbiased ideas about it. The convenient features add more values in your chosen gardening space. This hydroponic grow tent offers easy monitoring with good quality as well. 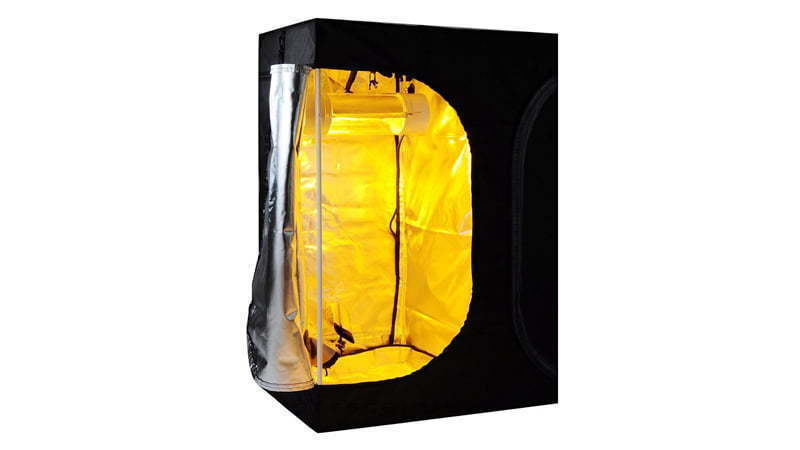 Again, this promising grow tent is excellent for cloning or producing any dwarf plants. 100% lightproof environment highly provides the quality amount of light distribution among all the plants equally. Amidst so many loaded products on marketplaces, it seems very tough to determine the best one for you. Whatever I am going to suggest you can show the right direction with logical values. We want to make a little effort for you before going to the detailed discussion of this review article. Let’s dive into the discussion. LAGarden hydroponic grow tent is highly applicable for extended grow space. Growers who are looking forward to gardening in the enlarged area, they can easily do so. Including the features of faster growth of the plants, it offers extreme satisfaction to the grow tent owners. Moreover, the larger grow room allows traditional advantages with different unique features. LAGarden hydroponic grow tent is exceptionally well in offering 100% lightproof environment with the heavy duty waterproof diamond Mylar. This reflective material contributes to increasing the light intensity inside the hydroponic tent nicely. It generates essential lightproof surrounding with the 210D oxford cloth. Also, it accelerates the plant’s growth with the reflective effect of the material. While contributing to the design and construction, the manufacturers of LA Garden grow tents add excellent values in it. The solid construction with the metal rods frame ensures the durability of this grow tent. Again, bigger doors in zippers permit easy access and set up of the total procedure. Ventilation is one of the most demanded facts that prone to plants. Fresh and cool air is needed for the perfect plant’s growth. 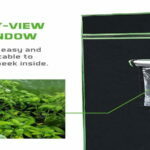 LaGarden grow tent comes with rectangle vents including the suitable screen. This high-density screen never allows harming the grow tent environment by letting in any harmful creatures like a mosquito. Additionally, the rings of the vents are being excluded here with the package. Even if the weather becomes too hot, the vents eliminate the hot air immediately. In fact, it encourages the odor-free environment to prevail everywhere inside the tent. LA Garden hydroponic tents come with upgraded features that come with 2-Tier 12” sized tent. It allows for ideal propagation and seedlings. Meaningfully, you get enough space for the enlarged growing of the plants. The best advantage of this unique and latest feature offers you to grow seedlings individually. Let me clear this conception more. Suppose, you use the 2-tier tent section for the seedlings and desire to transfer them in larger space for their ongoing growth. Then you can significantly use this feature of the tent. This tent comes with effective zippers. The stout zippers offer dynamic flexibility while using. After a few of usage, you will notice its smooth gliding. Just you need to put a little effort into it. The fabric is solid and the entire unit is suitable for long term, use. Available space is there for growing plants. This is worthy to buy at an affordable price. Regular air circulation ensures fresh air movement inside the tent with the rectangular vents. Reflective material generates enough intensity of light. A few users made issues with the zippers. But that is not a major problem. After constant usage, it becomes easier and smooth to operate. This upgraded grow tent is exceptionally well compared to others. Of course, there are reasons for the massive support and good reviews on it. 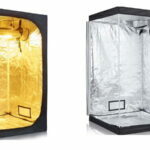 Below I would like to shed some lights on those valuable factors of the LAgarden grow tent. LA garden hydroponic tents used to retain the moisture. That’s why; mosquito gets enough facilities to generate its breeding inside the tent. 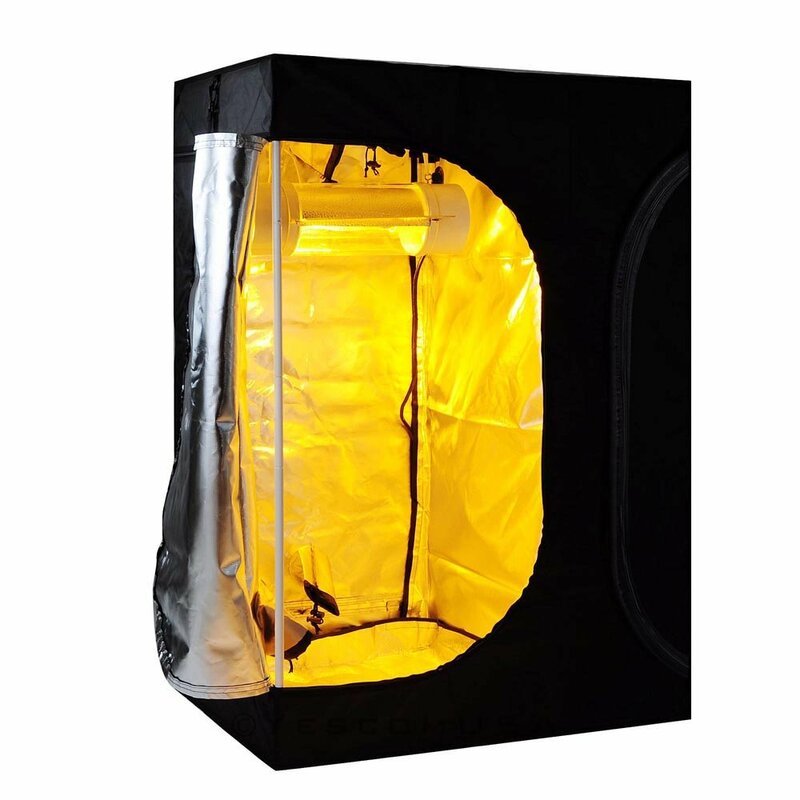 This upgraded grow tent covers with a unique mechanism that never facilitates the harmful effects of the insects. In the vents, screens are likely to be thick enough. So, it never allows the entry of the mosquitoes. This hydroponic tent regulates free air movement with fresh oxygen. Moreover, it keeps continuing removing bad odors by moving airs. Nevertheless, it prevents strong winds from ruining the plants. Without regular air movement, this is next to impossible for getting healthy plants. In these criteria, this would be a great investment. This tent is made of high-grade materials. The ultimate structure is formed with a solid frame. Again the metal rods used in the construction highly contribute to maximizing the convenient features. That’s why it is durable to use for an extended period of time. Invest your time and money for the best purchase of a grow tent. Meaningfully, LAgarden grow tent review is the ultimate guideline for you to invest wisely. Most grow tents of the marketplaces get damaged after a few times of use. But I hope you can’t make those types of issues anyways. So, grab the best one and grow your plants with satisfaction. Hi, This is Ashley Rosa. In the last 5 years, I'm working with Gardening, Planting and others growing fields. I'm the owner and CEO of the MyGardenings.com. You can also Email Me for any help. I will be there for you! 2018 MyGardenings.com Design. All rights reserved.